When people begin the divorce process, they are often uncertain about the process and the possible outcomes. Many are apprehensive about the future for themselves and their families. It is our goal to fully educate each of our clients about what to expect and to be available to answer each and every question. We are committed to providing our clients with realistic expectations, including a roadmap on how to most effectively reach their goals. We will provide skilled and personalized attention to each client’s unique circumstances, allowing our clients to navigate the divorce process with confidence that their issues are being handled diligently and in their best interests. By receiving quality representation, our clients are able to have the security necessary to re-focus their energies on the on-going aspects of day-to-day life. 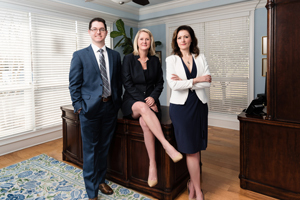 We, the attorneys and staff of The Law Office of Linda A. Bailey, work passionately towards reaching solutions in the best interests of each client. While the attorneys are experienced litigators, best efforts will be used to fully resolve each case with the least amount of acrimony possible. We are committed to treating clients, the other attorneys, witnesses and the court with respect and professionalism. It is our strong belief that a professional advocate reduces the emotional and financial costs for all of our clients. It is our job to assist in minimizing conflict when possible, to give solid advice based upon individual circumstances and to get clients to the end of the process in the most direct and respectful way possible. Litigation cannot always be avoided. If litigation is necessary, we will be fully prepared to zealously defend your positions in court. We have many years of experience negotiating and litigating a wide range of cases, from complex financial matters to difficult parenting issues. We are proud of the relationships we have built with outside experts in financial matters, tax situations, property and business valuations, mental health issues and parenting questions. These relationships ensure our clients receive the most thorough advice and representation possible. One of the most important qualities you should consider in selecting a divorce lawyer is the chemistry you feel with the lawyer and the support staff. Our office provides a calm and welcoming atmosphere, where we encourage clients to become part of our team. Our goal is to establish trust relationships with each of our clients, so that they can relax and let us bear the weight of the details. We welcome the opportunity to assist you through this difficult life change. Linda A. Bailey is a Florida Bar board certified marital and family law expert, one of only 280 Florida lawyers who have earned this designation. Board certified attorneys are the only Florida lawyers allowed to identify themselves as specialists or experts. She has past experience in criminal defense litigation and has practiced marital and family law since 1988. Attorney Linda Bailey is a Florida Supreme Court Certified Family Law Mediator. Decisions about family law matters are extremely personal and can affect you and your family members, especially your children, for a lifetime. Experienced attorneys can help guide you through these issues and work to ensure that your best interests are protected. Consider our website as a knowledge base that can help you start planning your new life. 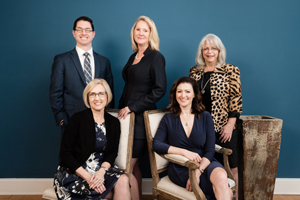 Whether or not you choose to hire our firm, please bookmark our website as your central location for resources about all facets of family law.